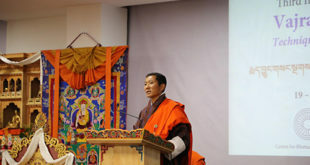 Having laid out several ambitious work plans to tackle youth unemployment issues by the government, the minister of labour and human resources, Ugyen Dorji, who is also the youngest minister in the cabinet said that his top priority is to tackle the challenge of youth unemployment with immediate effect. 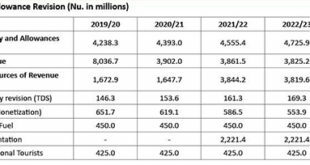 With the promise to ensure attractive salaries, secure work places and decent living conditions for the Bhutanese, the government as far as possible plans to target first world countries like Europe, America, Canada, Australia and Japan for overseas employment opportunities. “We will get back to you once we move forward with our strategies.In our manifesto, we have pledged to review and amend overseas employment program to improve it. Thus, we will first review the overseas program to Middle-East Countries, and opt for only the better options to pursue,” said the labour minister, Ugyen Dorji. With the unemployment rate having increased from 2.1 percent in 2016 to 2.4 percent in 2018, the labour minister said that he will be bold, honest and incorruptible in carrying out his duties to address the issue as far as possible. “DNT has outlined its plans in the manifesto on jobs and livelihood. We are not so much for change within the ministry as we are for improvements within the wider societal context. Five years down the line, we would like to have contributed significantly towards solving problems related to employment and labour,” said the labour minister. 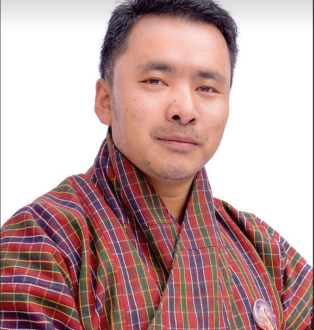 The Prime Minister had said that he appointed Lyonpo Ugyen Dorji as the labour minister given his own economic challenges as a youth. 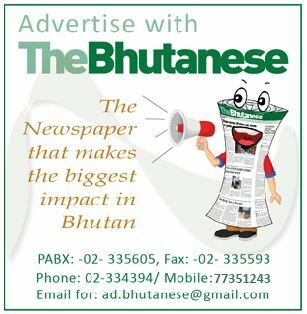 Lyonpo Ugyen Dorji may also be the first minister in Bhutan’s history who does not own a car due to his humble background. The minister from Trashigang has still successfully provided for his family, raised three children and made a career for himself. It is hoped that the minister’s young age of 32 and his humble background will enable him to better connect and understand the issues of the unemployed youth. In order to address the unemployment issue and improve the living standards of every individual, the government plans to prioritize and allot the highest investment in employment generation and livelihood programs, establish an employment and livelihood corporation to ensure youth employment, identify skill needs of the country and strengthen vocational institutes to create those skills, create more jobs by investing in agriculture and manufacturing sector, and expand apprenticeship program and institute guaranteed employment. There are also plans to reintroduce the national service program for all graduates to gain experience, ensure youth detained by law for substance abuse are considered for reformative measures, increase the minimum daily wage to Nu 450 a day, and review and amend overseas employment program to improve it.